It's been more than a week since my last blog, so I thought I'd just rattle on about things for a bit. After the excitement of seeing the male Hen Harrier ten days ago, I went back to Canons Farm a couple of evenings later in the hope of seeing the Short-eared Owl David Campbell had seen the night before. Whereas the preceding evening was beautifully clear and still, the following day erupted with a howling gale. It was still incredibly windy by 4pm but I went up to the Farm anyway. David and another guy (sorry, can't remember his name) were also on the lookout, but it was clear as the sun disappeared and time went on that the Owl was either sitting tight waiting for the wind to subside, or it had already cleared off. Whatever the reason, there wasn't going to be any repeat performance. Not to worry, there's still plenty of time to find one before the year ends. Plenty of time, but my outings are currently extremely limited because of a heavy workload. I haven't really ventured out of the house since Sunday, but hopefully that won't stop me seeing birds I still need for my Surrey list before midnight on December 31st. What might stop me, however, is not possessing a permit to some of Surrey's reservoirs. on the Island Barn Reservoir at West Molesey. 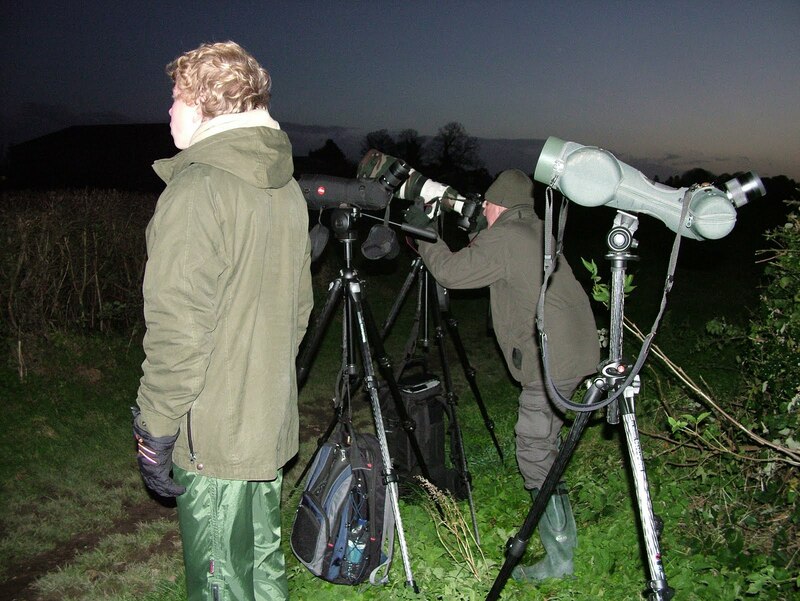 They may as well have been on Mars, as the only way anyone could get to see these birds was via a permit. What a nightmare. The next morning, as the fog lifted, I went up to the only reservoir I can visit, at Staines, in the vain hope that perhaps something might decide to drop in there. Already at the reservoir were Bob Warden, North London birder Neville Smith and John Gates, the man who first discovered the Brown Shrike last year at Staines Moor. The reservoir was about as interesting as watching Audley Harrison pretending to be a boxer against David Haye. Just a few Tufties, Coots and Cormorants to keep us entertained. To add salt to the wounds, three other birders were on the King George VI Reservoir next door, clearly enjoying excellent views of another Velvet Scoter. I left after a brief chat and paid Ash Ranges a visit. I hadn't been there before, but another Great Grey Shrike had been spotted there the day before and was apparently on view first thing. I met up with a couple from Farnborough who led the way to the area another Shrike was seen last winter. Nothing doing. It was cold and rain was starting to become an irritant, so after an hour I gave the day up as a bad job. Never mind. I'm gaining more experience now and I'm gradually taking disappointments like this in my stride. Such is the plight of those who give in to the temptation to list. After a week to clear the head, I'm almost ready to get back out there again.